Is Global Test Market Survey Scam Just That…Yet Another Online Scam? To date Global Test Market is considered to be one of the largest survey companies around. It is estimated they have about 5.5. million users across the entire planet and all of them are considered to be active users. This survey company has been around since 1999 and has maintained a positive reputation since then. Unfortunately however, recently the way this company is run is causing many active members and newbies to the company believe that it is now a scam. Let’s take a more in-depth look at the Global Test Market scam to see what is exactly happening with this site. Program Overview: How Does It Work? Global Test Market is very similar to other survey companies out there. It is completely free to join and you can begin taking surveys free of charge absolutely immediately so there really is no risk to trying out this program for yourself. While it is safe to assume that this program does not have any risks that you necessarily have to worry about, the question still remains: does this company actually pay out for taking surveys and can you actually make legit money from them? Well, the moment that you sign up (which again, is free) you will begin to take surveys that you have been invited to take via email. Once you go through the link you will need to partake in a screening process before you are able to take any of them to ensure that you qualify to take them. However, keep in mind that each survey looks for a particular demographic so some people will be able to take take while a majority of others will not qualify. So, look forward to wasting a lot of time trying to qualify for these surveys instead of just taking them. Also, don’t expect to take a steady stream of surveys because you won’t be able to. You’ll be screened out of a majority of them. 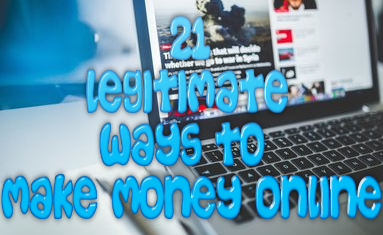 This program is specifically designed for those who wish to make money online and who wish to do so with little to no work involved. The member support for this program is absolutely horrendous. Many members have complained that the simple email ticketing system is of absolutely no use, with members never receiving any responses. The amount of money that you can make with this program will be different for every person involved and will ultimate depend on a variety of factors such as the surveys you qualify to take, how many referrals you can refer to the program, how many points you earn with the Global Test Market system and how fast you can reach the payout requirements. These are the payout credits needed to pay out through Paypal. However, in order to cash out you need a minimum of 1,000 and 1,200 with Paypal which is only about $50. While that may not seem like much, it is incredibly difficult to reach. Some members of the site say they were able to reach it in a couple of months while others were able to reach the payout in a couple of weeks. The complaints for Global Test Market differ from the different people that you talk to. I found a mixture of negative and positive remarks left by members. Just check out what some of these members have to say about Global Test Market for yourself. While this company may not be a straight up scam like many other survey websites I have reviewed, it is most certainly not the best there is. Survey sites in general are not a great way to make money online in my opinion and this is just one site that proves that point. The only thing that you will accomplish with this site is that you are going to spend too much time trying to qualify for surveys rather than actually making the money that you need. 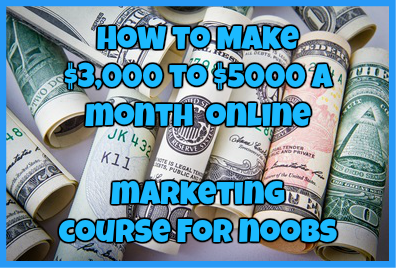 In my opinion, I would just stay away from this site and spend your time doing something more valuable like learning how to build long-term income. Have you used Global Test Market for yourself? What did you think of it? Let me know in the comments section below. ← Work At Home University: Can You Make Money With This University?